Malaysian Pink Pandas, grab your panda light stick, grab your fellow Apink-loving friends, grab your wallet – it’s time to buy your tickets to the “2018 Apink Asia Tour” in Kuala Lumpur, Malaysia! Ticket sales will commence from 12pm on 3 August (Friday). Tickets are priced at RM502 (VIP), RM402 (Cat 1), RM172 (Cat 2) and RM102 (Cat 3, Free Standing). All prices are inclusive of RM4 booking fee. Purchases can be made at www.buytickets.com.my or by calling 03-2280 0363. Don’t miss this chance to see the six beautiful girls of Apink perform on a Malaysian stage once again. 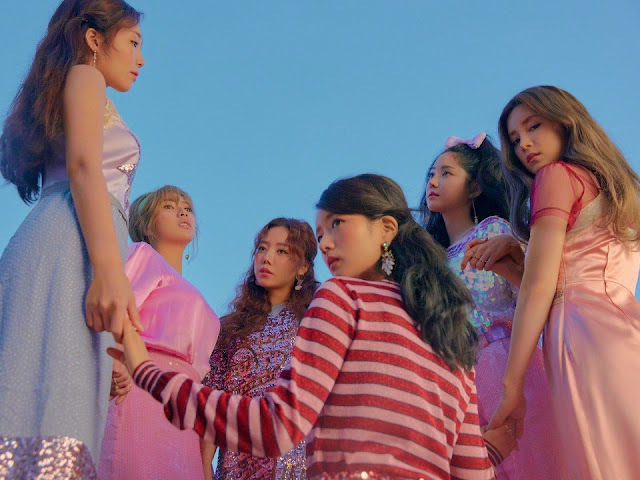 Na-eun, Cho-rong, Eun-ji, Ha-young, Bo-mi, and Nam-joo have all previously came down to Kuala Lumpur for several performances but this will be the first time that the girl group will be holding their own full concert. Since debuting in 2011, the girls have churned out hits such as “NoNoNo”, “Mr.Chu”, “LUV”, and “FIVE”. Their four consecutive concerts in Seoul ("Apink 1st Concert Pink Paradise", "Apink 2nd concert Pink Island", "Apink 3rd concert Pink Party: The Secret Invitation", "Apink 4th concert Pink Space 2018") were all sold out, proving that the girls only serve quality performances. So Malaysian Pink Pandas will definitely have something exciting to look forward to at the “2018 Apink Asia Tour” in Kuala Lumpur!